If you happened to miss last night’s fight between Gray Maynard and Clay Guida, consider yourselves lucky. 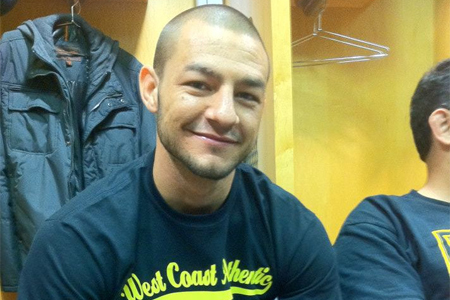 However, the featherweight affair with Cub Swanson (Pictured) and Ross Pearson was quite the barnburner. In any event, our partners at FOXSports.com have released the video highlights from both bouts for your viewing pleasure. After 25 forgettable minutes of action, Maynard left Revel in Atlantic City, New Jersey with a split decision victory. Although, all anyone is talking about is the float like a butterfly and hardly stinging like a bee strategy Guida executed. Swanson and Pearson, on the other hand, both entered the Octagon as if they were expected to put on a show. Swanson ended things in the 2ndRound with a vicious barrage of punches.